Through everything I learned from my mother, I hope to pass down the knowledge I gained from her and teach my girl some day. When we were little, it was an instinct to run to the comforting arms of our mothers when we were upset because we had a scary dream or had a bad day. As we got older, we tried everything in our bodies to despise what our mothers told us to do and do the opposite of what she told us. But today, my perspective of my mother has changed dramatically. As I reflect on these last 20 years that I’ve shared with her, I realize the deep and unconditional love I have for her. One day when I get the opportunity to share this same bond with a daughter, I hope that I can be the woman she is. From the time you were little, I knew you were special. We will forever and always be each other’s soul mates, whether you like it or not. No matter what you do, I will always be there to pick up the pieces, no matter how bad the damage is. I will always be your number one cheering section. I will sit in the heat of the summer or torrential downpours. I will strive to make you better and push you to reach your full potential. You may not like this and you may push me away, but I hope you understand that this is what’s best for you. One day you will see the strength I knew you had in you all along. There will be many times where you will despise me with everything that is inside you. You will think that what I do to you is unfair compared to the rest of the world, but I hope that you take these opportunities to learn that life will not give you everything you want or need, in fact most of the time it will punch you and knock you down. These are the times that you stand back up, take the punch and find a better way to fight back. There are also going to be times where you find yourself doubting and questioning what you believe or what you do. I am going to tell you to trust your gut and make decisions you feel are right. If you ever feel like you are not good enough or are feeling insecure, remember you that you have a God given talent, that you are made for a specific reason and you should not allow someone or something to bring you down. I hope that you never feel this way, but if you do, I pray that you will never be shy and will come talk to me. Lastly, there will be someone in this lifetime that will take my place as your “soul mate.” I hope you first off know that I shall never be replaced. But when searching for that someone, there will be people who will break your heart. I will tell you that seeing you hurt kills me and you may not understand it. But as your mother, we have this wacky bond where I can feel your pain. If someone does break your heart, I will be there sitting next to you, holding your hand pushing you to move on. I will probably tell you that person was not the right one and I can guarantee you that he [or she] does not see what he [or she] is missing out on. I will be there when you take your first steps, head out for your first day of school, and I help you move on to all your next stages of life. I will be there for you until my last day here on earth. We not only have this amazing friendship, but a love that can never be replaced. I love you. These words could have never be expressed if it weren’t from learning this from my own mother, and I can guarantee you that she learned it from hers. 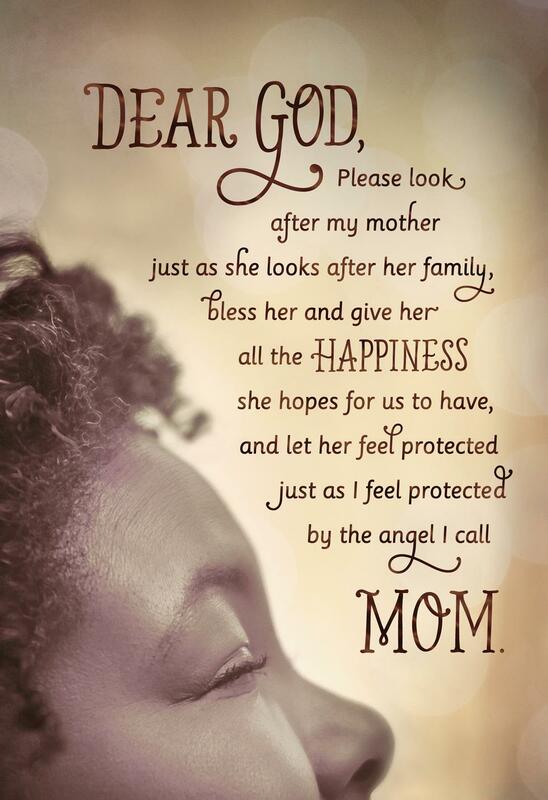 Mothers are the first people we are instantly connected to and I am lucky to say that I have had the opportunity to share 20 years with her. She is the reason why I am the person today and I am forever grateful for her. I can honestly say that I look up to her for everything. We all that special someone that we turn to for the tiniest or biggest moments in our lives, and sometimes we forget to thank them for how special they are to us and how much of an impact they on our lives. Take those sporadic moments to reach out to that someone and tell them how much they mean to you. Links: photo taken by me and is found in a photo gallery on my high school for an event. 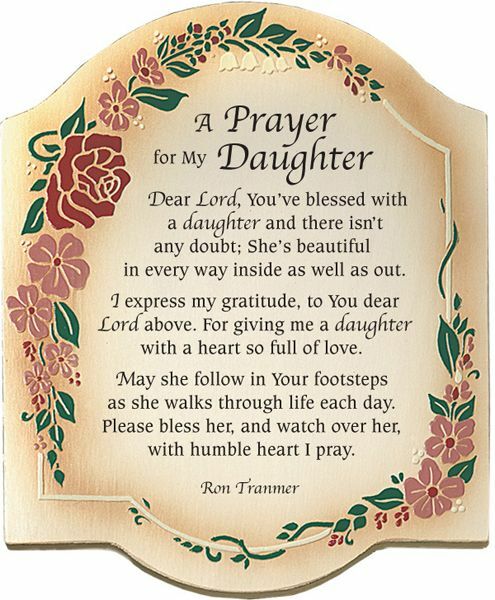 a prayer for mothers and a prayer for daughters.